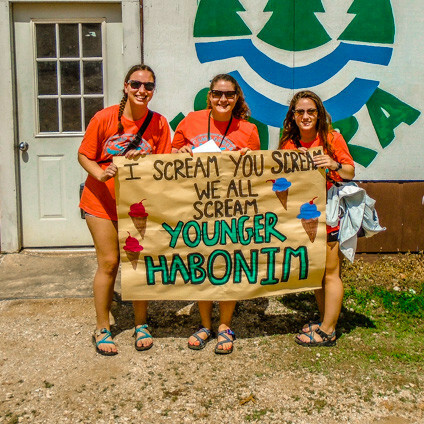 Many older and younger Habonim campers are returning to Camp Sabra after spending summers in our Ayelet, Almagor, Golan or Sharone programs. New campers are always welcome, and our returning campers and staff go out of their way to make everyone feel welcome in our camp community. Habonim campers attend the full four-week session at camp – and this means that they get to make the most of their camp summer! Because “Hab” campers attend for four weeks, they get to experience all that Camp Sabra has to offer. From perfecting their skills on the lake to creating and performing shows in our Fox Family Theatre, Habonim campers get to explore all of our facilities and programs. All Habonim campers participate in creating “Hab Follies,” a show for the whole camp that is written, directed and performed by the Habonim campers. Younger Hab campers have an outing to a local bowling alley for a night of bowling fun. Older Hab campers attend a minor league baseball game in Springfield, MO each summer. Habonim campers also get to participate in our color games, Maccabia, and enjoy a trip to Big Surf Waterpark during the final week of session. They also get to experience an in-camp overnight where they will cook and sleep out under the stars somewhere on the Camp Sabra peninsula. Younger Habonim campers (8th grade) experience a float trip on the Current River for three days and four nights during their camp experience. 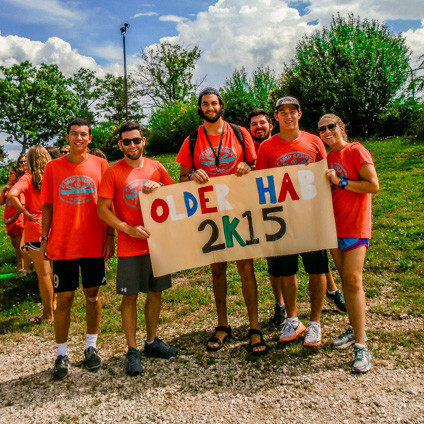 Older Habonim campers (9th grade) pack their bags and take a five-day, four-night trip to Arkansas where they hike, explore caves and float on the Buffalo River.